Dear eProperty Team, I want to invest Rs 30 Lac in DHA 9 Prism, Which Sector will be better for investment & good return in short time-frame? Aoa, I have budget 80lac where can i [email protected] i heard DHA Guj will peak in next next months? Kindly i looking for 1 kanal plot in Prism in 80 lac budget. Please let me know if you have plots in this price range. DHA Phase 10 is not announced yet. As soon as it will be announced we will mention its location here. AOA i want to purchase a plot in Phase 8 X Block (5 Marla residential) now where price is about 6.5 Million. after one year how mach i can got profit or i invest any where else to maximize the profit. Dear All I am currently living in UAE. I want to invest 32-40 lacs for 3-5 years in DHA Lahore. Please advise me which phase will be best investment in future. I will really appreciate your advise. I have 35 lacs budget, I want to buy plot in DHA lahore, please advise me in this matter. 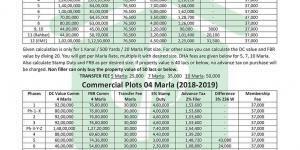 In this budget you can go for Phase 9 Prism Sector J 5 Marla plot. 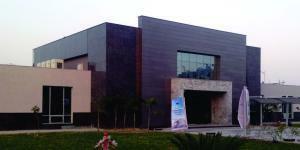 I will recommend you to invest in DHA 9 Town in 50 lacs budget. Given rates are approx and may vary as per market conditions. i want to invest pkr2.0million in DHA lahore. what should i buy. I booked two plots of 5 marla each but very much worried to pay the next installment. If any one have the idea about the location and other information about the scheme then do let me know that what i need to do next bcz alot of people are worried about this..
Kindly mention the project name. 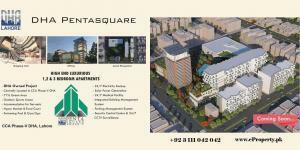 I am interested in 10 marla file in DHA City (EME Sector).Please send me a email response. Khalid Bhai as DHA City location is not yet defined. I do not recommend investment until location is clear. I am not dealing with it till location is clear. If you are still interested kindly contact any other agent in market for further assistance.